Hello! 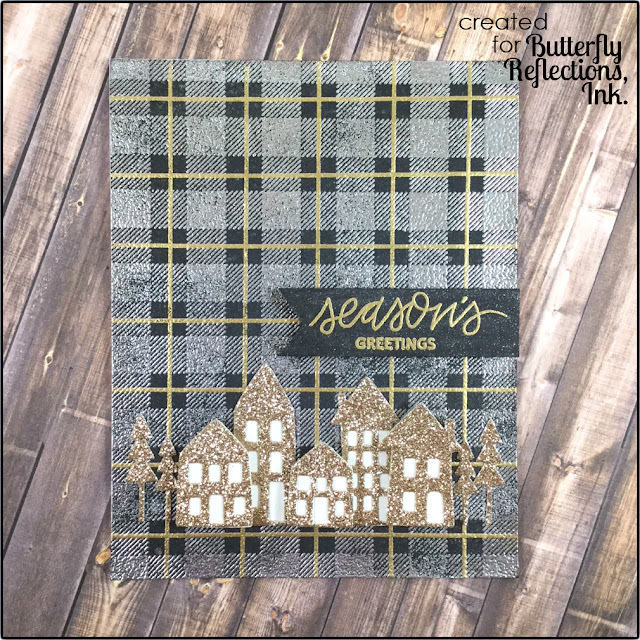 It's Lynnea and I'm here to share a couple of easy Christmas cards that really pack a punch! And I used a variety of products from different companies! That's something I've really been trying to do lately. 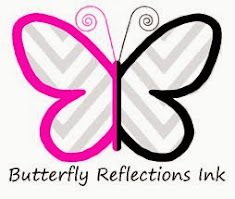 And of course you can get all of these products in the Butterfly Reflections, Inc shop! I made two cards, but I started both of them in similar ways. I cut down a piece of black cardstock to be 4.25 " by 5.5 " and sprayed them with some silver shimmer spray. I covered most of the cardstock, but the little bits of black that peek through are super shimmery! 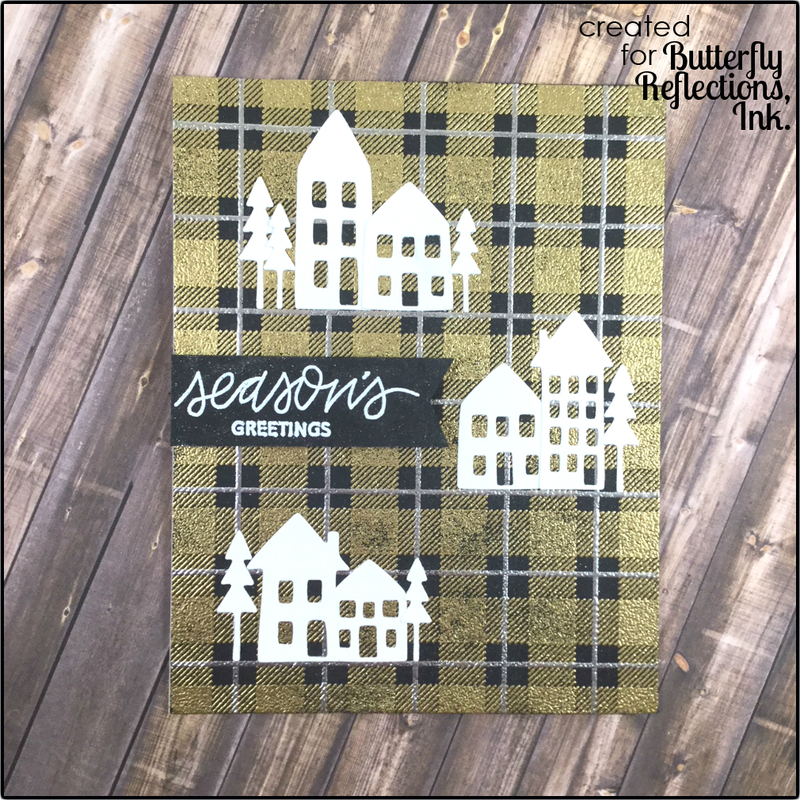 I grabbed the Plaid Background Stamp from Concord & 9th and stamped it on both pieces of black cardstock with Versamark ink. I embossed one piece with Hero Arts Silver Embossing Powder and the other with Hero Arts Gold Embossing Powder. Then I used the skinny lines to add the details - Gold lines on the silver background and silver lines on the gold background. I die cut the Warm Winter Scene Cover Plate Die twice - once from white cardstock and once from gold glitter cardstock. I love this die! I think it's essential and so versatile! I have so many ideas to use it for every season and all kinds of cards! 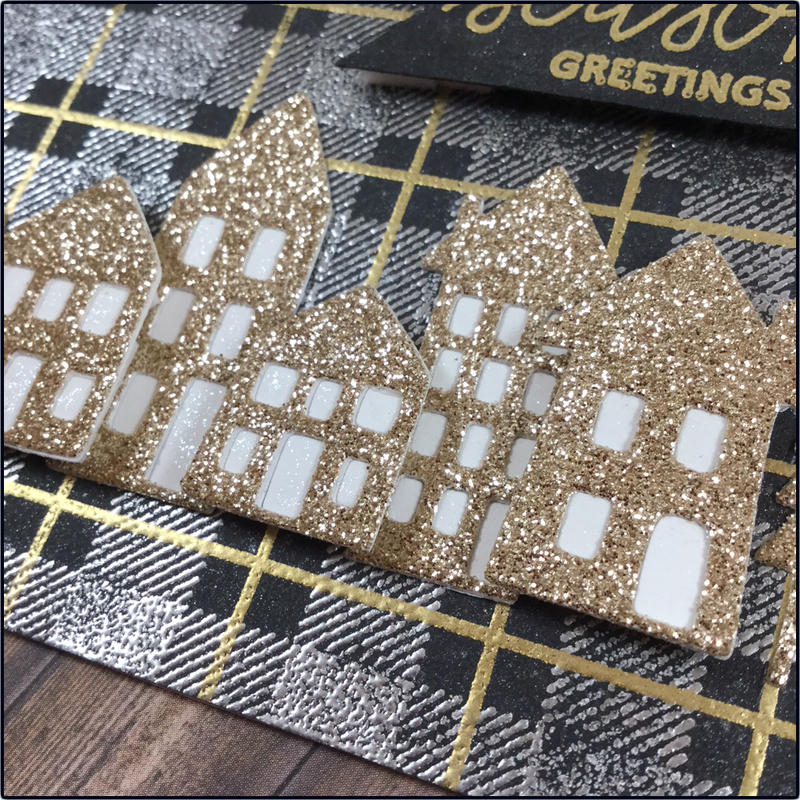 I chose to accent the primarily silver background with the gold glitter houses, but I didn't think they popped enough, so I added some white cardstock behind them to help them stand out. I arranged the houses and trees at the bottom of my card - some flat and some popped up with foam squares. I added a sentiment from the Pretty Pink Posh Christmas Friends stamp set, but the Reindeer Friends stamp set is in stock in the shop and has amazing sentiments with the same font! 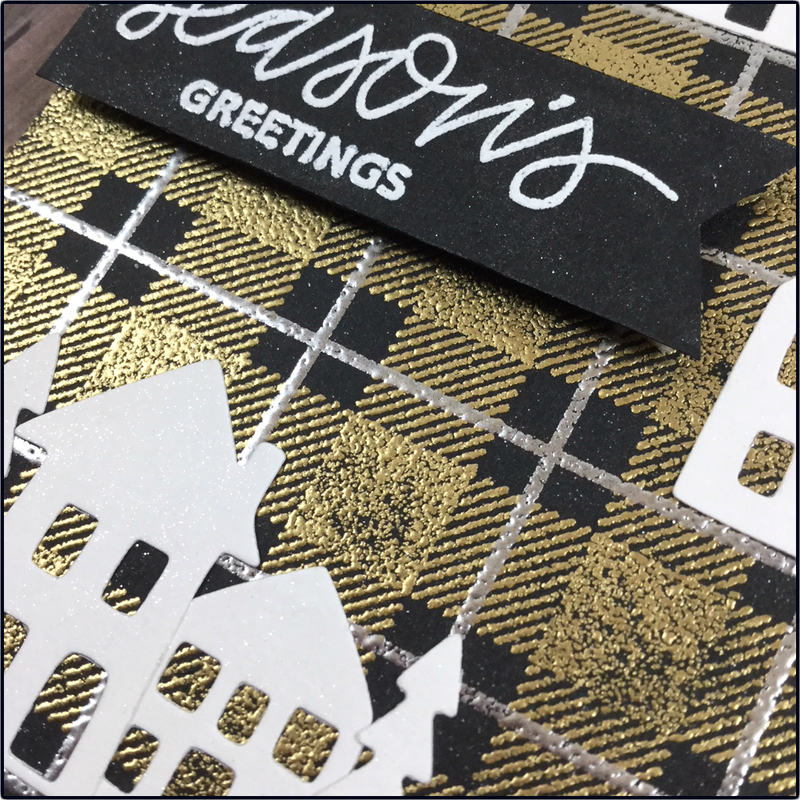 I added Spectrum Noir Clear Shimmer to the houses and to the sentiment strip because all Christmas cards should shine! I used the white houses on my second card and arranged them differently around the card to form a visual triangle. I added Spectrum Noir shimmer to the die cuts and to the sentiment strip on this card as well. These cards really didn't take long to make and I love all of the shine and shimmer! I hope everyone has a Merry Christmas!